Recent YA/MG books I've read and recommend! Fifteen-year-old Kyle is a member of the “hoodies.” So named for their ubiquitous hooded sweatshirts, they are the slackers/burnouts/freaks common to every high school. In fact, Kyle would be the first to admit his commonness—he gets picked on by bullies, he serves detention, he pines after a girl. The deadness he feels is impinged upon by the arrival of Zack, a private-academy transfer who wears sports coats, quotes philosophers, laughs at Shakespeare, and seems to have every student and teacher in the palm of his hand. Zack takes on Kyle as a sort of project, but his swank parties and daring escapades soon turn to deeds far darker. Benoit's stylistic gamble here is the use of the second person—you, the reader, are Kyle. The gimmickry of it quickly fades; in fact, the reader identification helps fill in the gaps of an otherwise watery protagonist. Zack is a theatrical, Iago-like villain, and he makes a great foil to Kyle's antihero in their twisted relationship. First lines: You're surprised at all the blood. He looks over at you, eyes wide, mouth dropping open, his face almost as white as his shirt. For Cassia, nothing is left to chance--not what she will eat, the job she will have, or the man she will marry. In Matched, the Society Officials have determined optimal outcomes for all aspects of daily life, thereby removing the "burden" of choice. When Cassia's best friend is identified as her ideal marriage Match it confirms her belief that Society knows best, until she plugs in her Match microchip and a different boy’s face flashes on the screen. This improbable mistake sets Cassia on a dangerous path to the unthinkable--rebelling against the predetermined life Society has in store for her. 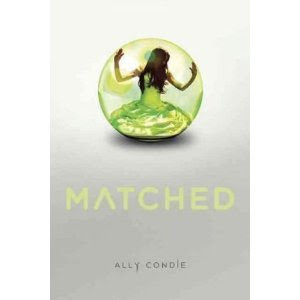 As author Ally Condie’s unique dystopian Society takes chilling measures to maintain the status quo, Matched reminds readers that freedom of choice is precious, and not without sacrifice. Anna Oliphant has big plans for her senior year in Atlanta: hang out with her best friend, Bridgette, and flirt with her coworker at the Royal Midtown 14 multiplex. So she is none too happy when her father sends her off to boarding school in Paris. However, things begin to look up when she meets Étienne St. Clair, a gorgeous guy–with a girlfriend. First lines: Here is everthing I know about France: Madeline and Amelie and Moulin Rouge. The Eiffel Tower and Arc de Triomphe, although I have no idea what the function of either actually is. Napoleon, Marie Antoinette, and a lot of kings named Louis. In many ways, Jack is a typical 5-year-old. He likes to read books, watch TV, and play games with his Ma. But Jack is different in a big way--he has lived his entire life in a single room, sharing the tiny space with only his mother and an unnerving nighttime visitor known as Old Nick. For Jack, Room is the only world he knows, but for Ma, it is a prison in which she has tried to craft a normal life for her son. When their insular world suddenly expands beyond the confines of their four walls, the consequences are piercing and extraordinary. 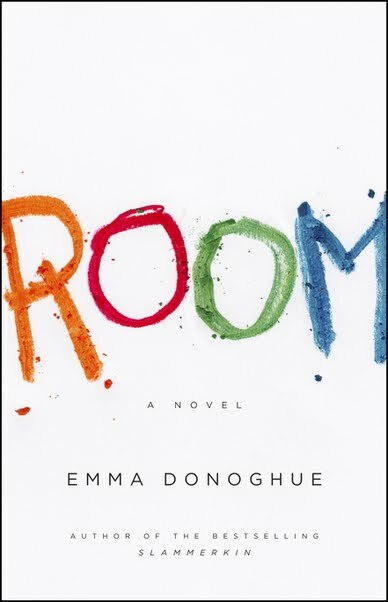 Despite its profoundly disturbing premise, Emma Donoghue's Room is rife with moments of hope and beauty, and the dogged determination to live, even in the most desolate circumstances. A stunning and original novel of survival in captivity, readers who enter Room will leave staggered, as though, like Jack, they are seeing the world for the very first time. First lines: Today I'm five. I was four last night going to sleep in Wardrobe, but when I wake up in Bed in the dark I've changed to five, abracadabra. Sorry to whoever commented earlier- I lost them! You've read some good ones!!! I've been reading On Writing by Stephen King. Good, and there's so many good ones on my TBR pile that I can't wait to get to! I'm not sure I could handle reading a novel written in second person. I get annoyed enough by first. It's probably because of all the Epic Fantasy I read when I was young. I will admit I've gotten more used to first person recently. I am reading NOTHING! Shame on me! The one I have heard of is Room and that is icky but interesting! I'm reading I AM NUMBER 4 and just finished ACROSS THE UNIVERSE and ENDER'S GAME. I must be on a sci-fi tear or something!!! You will ADORE Vera Deitz. 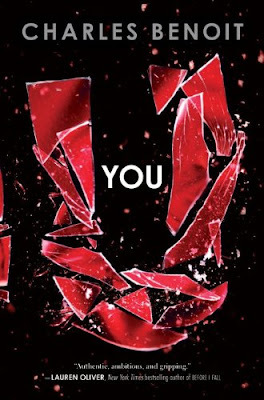 YOU is one of the best books I have ever read. I am in the middle of MATCHED right now and I enjoy it mucho. Wow, you helped me narrow my next Amazon group of purchases! My husband thanks you. I LOVE Matched. And omigosh, Across the Universe is going to debut at #7 on the NYT bestseller list!! So excited for Beth!! I keep hearing great things about Anna and mixed reviews on You. I just bought The Water Wars which I'm dying to read. But I really shouldn't have. The stacks I have are SO out of control!! These are all books I want to read. I'm currently reading Sapphique by Catherine Fisher--even better than Incarceron. I just finishe Across the Universe. You're in for a treat with it! What a great group of books! I can't wait to read You--that's been on my TBR pile for a while!